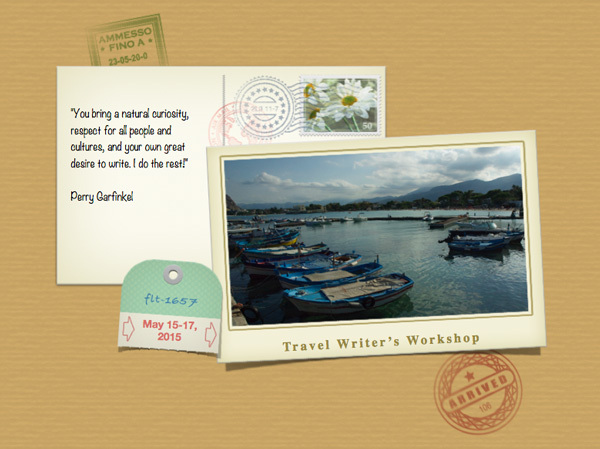 Whether you want to publish your travel journals or improve your travel writing for family and friends, this May 15-17 weekend workshop conducted by professional writer Perry Garfinkel will certainly hone your skills. In this interview, Garfinkel and Alex Edvardsen of the local Fields End writers group tell BCB host Channie Peters about this information-packed, practical and fun weekend. 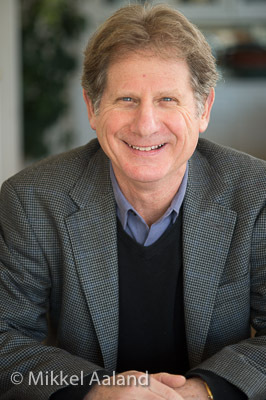 Garfinkel has been a published travel writer and contributor to the New York Times, Wall St. Journal Asia, Huffington Post blog, numerous national and international magazines. He is also a bestselling author of “Buddha or Bust“, which was selected by Shambhala Press for Best Buddhist Writing of 2007. Learn more about Perry at the Perry Garfinkel website. In this Fields End workshop, you will experience indoor and outdoor writing exercises, learn how to pitch your idea and article to editorial panels, improve your writing technique, and have a lot of fun with other writers, aspiring writers and travelers. 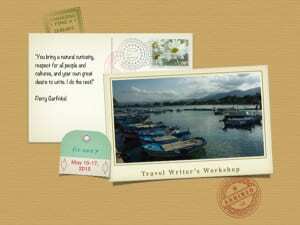 This is the first time that Fields End has presented a travel writing workshop. It begins on the evening of Friday, May 15th at Bainbridge Island Museum of Art, and continues all day Saturday, through midday on Sunday. The fee includes a Friday evening reception, plus a lunch on Saturday and Sunday at the art museum bistro. Registration is at the Fields End website. Space is limited to 15 participants. Credits: BCB host: Channie Peters; BCB editor and publisher: Barry Peters.